The ultimate in manoeuvrability and compact performance. Provides an even and absorbent bed of straw. Baled silage is lightly shredded making it more palatable and easily consumed. 3.0m³ capacity, for feeding baled and clamp silage. Also available with Side Chute or ‘Dual Chop format’ for long or short straw at the touch of a button. 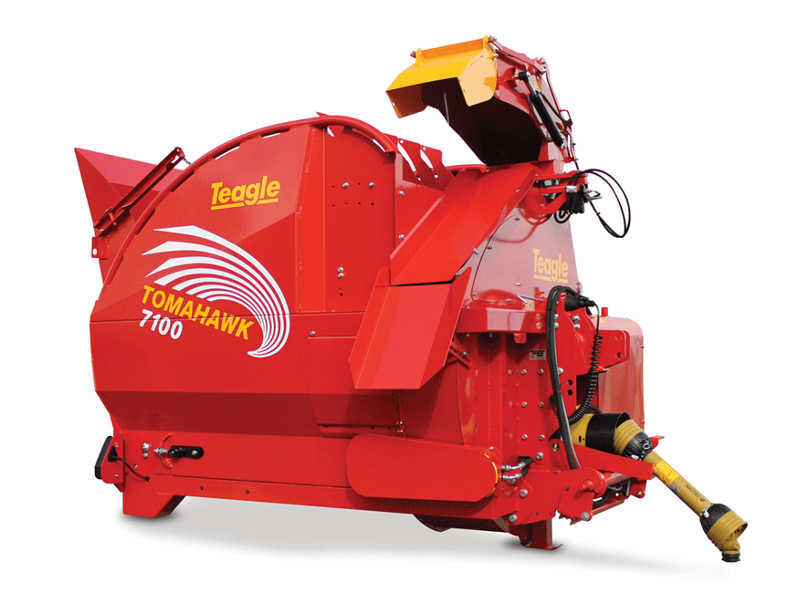 Simple and economical control of all hydraulic functions on your Tomahawk. To help reduce the weight of the Tomahawk on the tractor. Deliver only to the right hand side, with slightly greater blow distance than the swivel chute. Discharge height is lower for easier access to low buildings. Chutes can be raised or lowered as required. A chute extension designed specifically for bedding pig arcs. Straw is easily directed through the front of the arc and into the bedding area. Note - this option can only be fitted to side chute models.